I thought i would try something a little different and make a blog that shows who i am as a person. My post for today is “what i love about Africa”. The reason i wanted to write about this is because i personally love sooo many countries in Africa and would like others to also see what there is to love about Africa and hopefully to make people remember what is so great about Africa. Anyways, now that i have told you a little about me, lets ask our self What’s to love about Africa? First of all i would have to say THE PEOPLE! If you don’t have any friends from any Countries in Africa, MEET SOME! lol they are among the most loving and caring people on this earth and that’s why i love them! I say this because i have friends from all over Africa and came to realize that its not only in one country in Africa that has lovely people, it really is all over Africa! Secondly i would say, The culture! no matter where you go in the world, im sure you wont find the same culture that you would find in countries in Africa. Also lets not forget the music and Art! Nigerian/Yoruba music is my personal best and i wish everyone could hear what i am hearing. my day is not complete without blasting some Nigerian or Ghanaian music hehe. I am also a huge fan of Art as it is one of my best subjects from school. Ghanaian art in particular is one of my favorite. so bright, colorful and unique. The history! Africa has some good and some bad history. 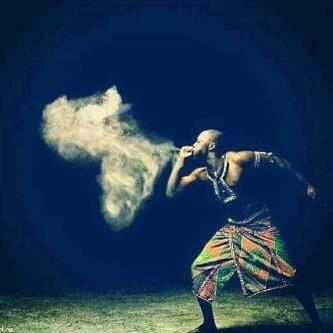 That’s what makes it the Africa it is today. Reading history from my childhood made me get a true feeling of what countries in Africa have gone through and we should remember that! Lets not forget the FOOD! Wither it is Nigerian food, Kenyan food or ANY food from Countries in Africa, i am in! lol My best dish is Egusi Soup with Pounded yam, which is mainly eaten in Nigeria. I love to eat and cook food from many different countries in Africa and always ready to try more. I could ramble on all day talking about Africa because it is my passion but i don’t want make this blog to long. The main purpose for this blog is to remind people that Africa is wonderful in many ways and we should never forget that! Many youths of these days try to run from Africa, instead, look around and love the beauty of Africa! It may not be easy to live in some parts of Africa but that’s what makes people Stronger and braver! This entry was posted in Africa and tagged Africa, Ghana, Kenya, Nigeria. Bookmark the permalink. This is pretty incredible to me. I’ll be shaking my head about this for some time. I admire commitment for what you love. For better or worse what little of Africa we had growing up was squeezed out by American influence. Have you ever visited? Go marry in Ghana leave Nigeria alone we’ll take better care of you. All your food posts are making me miss my Mom. Hello my name is Remi I am Nigerian by birth born in America. I am interested in learning Yoruba my dad speaks and not my mother. Any ideas of what programs or books that I can buy to aide in my learning?